Clean Commercial Window Washing Services, dirt-free, commercial buildings are found all over Hilton Head, Bluffton and the Lowcountry, South Carolina. Commercial properties have a professional and clean appearance because of the care given by the building owners. 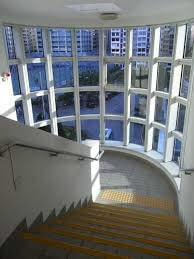 Interior and Exterior Window Washing is a key contributor to the look and perception of every building. Building owners hire experienced commercial window washing services like Sea Spray Exterior Cleaning Service to protect and maintain not just the physical beauty, but the structure of the building as well. Sea Spray exterior cleaning makes a huge difference in the perception of every building. Successful buildings owners pay close attention to the condition of their building and how it looks. The reason is because it reflects how tenants and tenant customers will judge the operation and maintenance of that building. Potential tenants and customers do business with companies with which they trust and feel comfortable. Excellent Commercial Window Washing Servicescan make every building look its best and gives an overall impression of the company. Sea Spray Exterior Commercial Window Washing Services creates that beautiful, clean appearance for every commercial client. Since many buildings have large windows that cover major exterior areas of the buildings, a professional commercial window cleaning service is important to use. These windows have to be taken care of professionally because access can be difficult. Only an experienced window cleaner would have the equipment and tools necessary to get the right job done Commercial Window Washing Services. 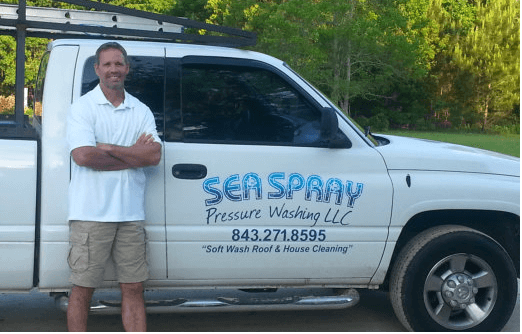 Sea Spray Exterior Cleaning Commercial Window Washing Services is the service Beaufort Country trusts because of our experience, skill and integrity. We take the risk away from the building owner and provide a time efficient service with the most competitive pricing. 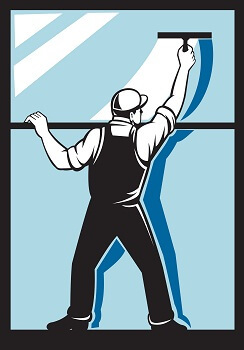 Sea Spray Exterior Commercial Window Washing Services gets the job done; hassle-free and guaranteed.